The Carbon Claw Granite GX-5 grappling shin guards have been produced specifically for mixed martial arts enthusiasts and offer a flexible, durable and eye-catching design. They are made to provide increased lower leg protection and ensure unrestricted movement to let you focus on improving performance. These lightweight guards with an open back prevent the heat build-up and feature a 4mm padded outer neoprene sock with a hook and loop cross over fixing for a secure fit. Plus, there is a 10mm EVA shock absorbent padding in the front of the shin and foot area and the inner lining manufactured from an anti-microbial material guarantees a fresh feel and excellent moisture management. for submitting product information about Carbon Claw Granite GX-5 Grappling Shin Guards We aim to answer all questions within 2-3 days. 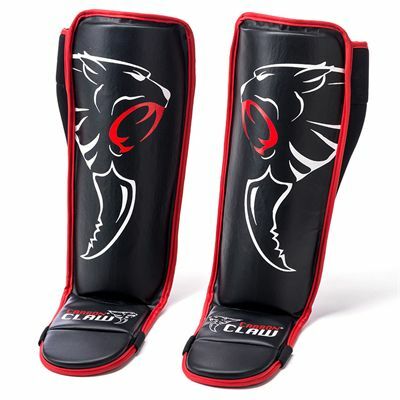 for submitting product information about Carbon Claw Granite GX-5 Grappling Shin Guards. We aim to answer all questions within 2-3 days. If you provided your name and email address, we will email you as soon as the answer is published. 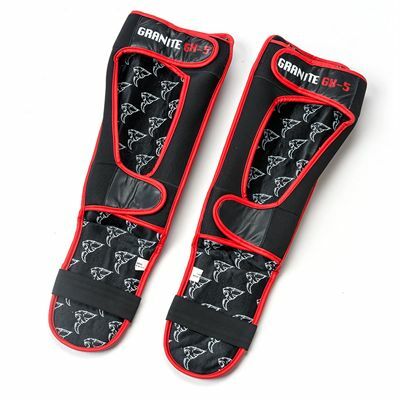 for submitting product review about Carbon Claw Granite GX-5 Grappling Shin Guards.